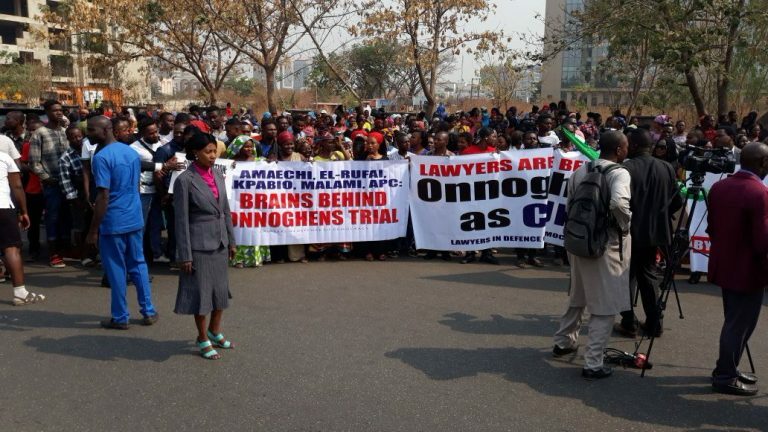 A group of lawyers and Civil Society Organizations are currently protesting at the premises of the Nigerian Bar Association, Abuja today. 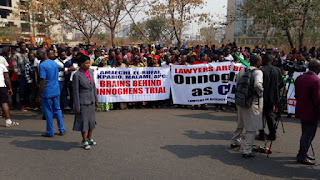 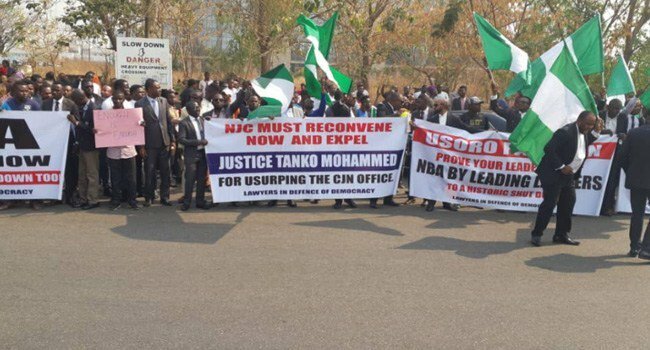 PoliticsNGR was informed that the protest is against the suspension of the Chief Justice of Nigeria, Justice Walter Onnoghen and his replacing him Justice Tanko Mohammed. 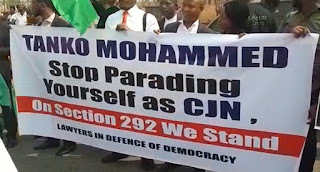 The groups include the National Interest Defenders and Lawyers in Defense of Democracy. 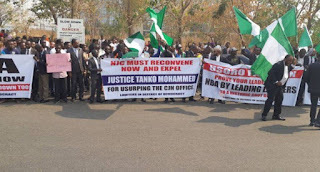 They also demanded that the National Judicial Council step into the matter and investigate Onnoghen.